Shed City is bound by the National Privacy Principles set out in Schedule 3 of the Privacy Act 1988 as amended to 14 September 2006 (“the Act”). Shed City is dedicated to ensure that personal and sensitive information is gathered with respect to the individual and aims to exercise the highest standard of care in preserving privacy of information in all areas of operation. For the purposes of this Statement, “Personal Information” is characterised as being information about an individual whose identity is apparent or can reasonably be ascertained from that information. The types of Personal Information generally collected by us include name, address, date of birth, mobile and telephone numbers, e-mail address, credit card or bank account details, occupation and employer, driver’s licence number and emergency contact details. Personal Information is also collected when individuals provide business cards or other documentation to us containing such Personal Information, including completion of an order. Personal Information also includes information we collect in the course of providing services to individuals and from external communications. Any Personal Information that we collect about individuals will be used and disclosed by us to provide the services required or otherwise to enable us to carry out our business. 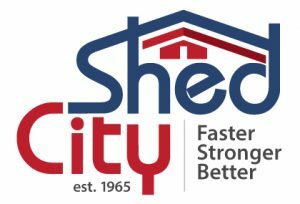 Shed City will only disclose personal information to third party business partners when they provide services to Shed City that are consistent with the terms of this Privacy Statement. Shed City does not share Purchaser Private Information with suppliers or Independent Contractors unless a Purchaser asks us to. Shed City will not rent, sell or any other way disclose Personal Information that is in our possession to any other company or organisation, without prior consent of individuals where that consent is required by law. Individuals consent to our use and disclosure of their Personal Information where it is incidental to a sale of our business to a third party. They also consent to Personal Information being disclosed to Shed City head office and branches. This is required to enable individuals to be recognised as a Shed City Customer or Purchaser, no matter which Shed City outlet they deal with in Australia. Shed City will disclose personal information if it is under a legal requirement to do so (for example, under a court order, or if required under legislation), or if an authorised request is made from a law enforcement agency. Otherwise, Shed City will only disclose personal information with the consent of the relevant individuals. Any employment application provided to the Company will be used solely for the purpose of analysing suitability for a position available. Personal details will only form part of an employee record if an application is successful. The employee personal information will only be disclosed by Shed City if required by law to authorised government agencies i.e. Australian Taxation Office or as otherwise directed by employee. Any unsuccessful employment applications will remain on file to be revisited should suitable opportunities arise in the future and, if required by the applicant, applications may be returned or destroyed. Shed City will handle personal information collected online with the utmost care, and will not knowingly use it in ways not explicitly consented to by the user who supplied the information and to whom the information refers. Shed City will handle personal information collected online consistently with the way that it handles personal information collected offline. Other matters specific to our handling of personal information online are set out below. No personal information is collected by Shed City when individuals visit our website, unless they chose to provide it to us (for example, by sending us emails through our website). However, Shed City may collect certain data that does not identify individuals (sometimes called “web log information”) when they visit certain pages (such as the type of browser and operating system they have). Shed City may also use “cookies” which are small files that are stored on computer and that manage the security and navigation process of the site. Users can choose to block these cookies but some portions of the site may not function correctly or efficiently if they do. This type of data is collected for statistical purposes only, and while cookies will identify computer, they are unlikely to identify users personally. In accordance with the Spam Act of 2003, Shed City will not Email or SMS marketing material unless Customers/Purchasers have consented to this. Furthermore, Customers/Purchasers can unsubscribe from email communications using the “unsubscribe” facility contained in each electronic publication Shed City send. Occasionally, Shed City will send promotional email messages to prospective Customers/Purchasers. This will only be done on reasonable belief that Customers/Purchasers would be interested in the subject matter. In every case Customers/Purchasers will be provided with clear and simple instructions on how to be removed from our mailing list. Shed City use all reasonable endeavours to secure any Personal Information that Shed City hold and aim to keep this information accurate and up-to-date. Security measures, both technical and organisational, are in place to ensure the security of information and to protect it against deliberate or accidental manipulation, destruction, use, disclosure, loss or unauthorised access. Personal Information is stored behind firewalls and where applicable, protected by user names and passwords. Shed City reserves the right to change this Privacy Statement without prior notice. Any changes to Privacy Statement will be posted on the Shed City website. Shed City encourage Customers/Purchasers to review this Statement regularly. Questions, comments or concerns about our privacy commitment should be directed as per our contact information below. The access to personal information that Shed City hold can be obtained on request. The provision of this information is at discretion of Shed City, depending upon legal circumstances. When advised in writing, Shed City will remove all such Customer/Purchaser information from our database, save for data required to be held to meet other statutory obligations. Individuals also have the right to ask us to correct information about them which is inaccurate, incomplete or out of date. If you wish to seek access to, or correction of, personal information that Shed City holds about you we ask you to put your request in writing. It is important to us that the personal information we hold about you is accurate, complete and up to date. This Privacy Statement applies to Shed City Pty Ltd, and its employees. Shed City will make all reasonable attempts to respond to your complaints or requests. Shed City undertake an ongoing video recording in every Shed City outlet for the purpose of ensuring security in outlet via CCTV cameras, recording the time and date at which images are taken. Video recording can be accessed only by authorised staff. Video recordings of a specific incident may be released authorised persons only under the terms of this policy or subject to the execution of a search warrant or other legal process and only with the approval of Shed City Company Secretary.